Verify that your camera has an AF-On button. If not, you’ll need to set up the AE/AF-lock button in the custom menus to use it as the AF-On button. In the Nikon D90, this is custom setting f4. Set the camera’s AF servo mode to Continuous (AF-C). This is done through the switch next to your lens mount, or via a custom menu setting. D90 users: hold down the AF button on the top of your camera, and turn the Main Command Dial until AF-C is displayed in the top LCD panel. Find the custom setting for AF Activation (a5 on the D3s) and set it to AF-On Only. This step is not necessary for the D90 and other cameras, as it is already set up by custom setting f4. Now you’re all set up and ready to go. Remember to initiate the VR system (if your lens supports it) by half-pressing the shutter button prior to releasing the shutter. Remember, VR takes about a half-second to stabilize, so you’ll want to anticipate your subject. Now that you understand how to use the technique, you’ll want to spend some time practicing. It usually takes about a day of shooting in the field to get used to the new technique. Once you know how to use it, the AF-On only method of focusing will help you get more “keeper” shots. I love this technique and have been using since you and Rick first talked about it a couple of years ago. Now it just feels wrong to use a camera without it. I was trying to figure out how to do that after I heard about it on the Image Doctors Podcast. I got caught last week in the situation you described. I was getting a few shots at a stationary Blue Heron, but then saw geese coming in for a landing. Even though I thought I was focusing right, it didn’t come out. I think this may help. Going to try this technique tommorow. On my D200, I don’t have a “release priority” setting for step 4. Can I still use this AF-on mode to track moving subjects? It’s custom setting a1, and you set it to FPS Rate. I have been using the AF-On for some time but not on continuous. Nice to know about the tracking feature. My D300 is so fast on C that I have to be very careful so if I set it to S on the top dial but leave the the C setting on the front, will I have everything except the tracking? Then change to C on top dial if desiring to track…. Great Post. Thanks for the info. We had talked about this in Connecticut. The video image and link at the top of this post is not displaying at all for those of us using Firefox. It is just showing up as a white box with the alt text. It is only displaying properly in Safari for us Mac folks. Are you using any thing there that would be blocked of not recognized by Firefox? Thanks for the heads-up, John. I’ve fixed the image and link and it should work now. This might be really dumb, but for static and relatively static subjects does it matter if you use single point or dynamic area AF while using this technique? I would use single-point AF at all times unless your subject is moving. I’ve watched your AF-ON youtube video and this sounds like a great technique. I’d like to try it on my venerable D1X, but my menu options are a bit different than the new cameras. I think I’ve got it set up properly, but could you possibly give me some hints as to how to set up this older model? does this work on D7000? 1. is the green dot light suppose to stay on after i focus? 2. i do not hear the beep sound when i focus, is it normal? 3. the af selection button will get hang after sometime and i only see a single af point with AF-S on the top LCD screen. but everything back to normal once i unlock n lock the lens again. I find this technique somewhat inconvenient with fast primes (1.4-2.0) because you can’t just focus-and-recompose from central point with off-centered subjects due to shallow DOF. I prefer to leave my thumb on focus point selector and change focus point as fast as possible. Hence no way for me to activate AF rather than half-pressing shutter release button. Great post! I first tried this when I heard you mention it on Images Doctors a couple of years ago. It took a while before I felt comfortable giving up holding the shutter release button, but have since found it so much easier to compose a shot. I had been reverting to AF Activation set to Shutter/AF-ON when shooting sports, but didn’t realize the disadvantage of the VR current drain. From now on I will leave setting to AF-ON only and track action while depressing that button. Thank you for the excellent insight and clear explanation. Is there any drawbacks to using AF-ON Button for both Single & Continuous focus? VR is always activated with a half-press of the shutter. It works the same. Exposure is not affected. The only limitation of the technique is when you’re using a speedlight with AF-Assist lamp. The AF-assist lamp only works in AF-S mode. Love the technique…except when I want to use AE lock and the AF-On button on my MB-D10. Half-press of shutter button to lock AE (CSM c1 on my D300) OK but sub-optimal solution, as the MB-D10 shutter release button is hyper-sensitive. Would really like to keep using the AE lock button. Has anyone mastered this or have any handy tips or tricks? The lens makes no difference; what matters are the in-camera settings for AF. If your camera does not have a dedicated rear “AF-ON” button, then you’ll need to customize your AE-Lock button to serve as an AF-ON button. With the 70-200VR lens, just make sure it’s set to use Autofocus (A/M) switch in the “A” position (or for the VRII model, “A/M” position). Thanks a million, I have just tried this setup it is great. Just one more question, when I use fill in flash with this system does the auto focus on the SB800 still work? I know this is an old post but had to stop by and say THANK YOU. I’ve been exploring back button focus for a bit now but these are the clearest instructions and explanations I’ve found yet. Thanks again! Request: please, would do a similar video just on the L lever on the back of higher-end nikons. I think it locks exposure, but how does it affect focus, probably not at all? The AE-AF lock button can be customized to lock exposure or the focus point. It does not affect focus by itself. The AF-Assist lamp will not operate with this technique. For that, you need to have the camera in single-servo (AF-S) mode. I have been fighting my autofocus for months until I found this post. I used to be able to do this with my film camera and was frustrated I couldn’t figure it out on the D90. WOW!! If these two conditions are not met, the technique won’t work. In single-servo AF, your camera won’t fire at all unless it thinks focus is locked. If you move the camera AF sensor to an out of focus object (as what happens when you recompose), it “sees” an OOF object and won’t fire. If you have the shutter release button set to activate AF, then when you recompose, the camera will re-focus when you try to take the shot because you’ll be activating AF when you release the shutter. Set Custom Setting f5 to AF-ON. This sets the AE-L/AF-L button to function as the AF-ON button, and disables AF activation from the shutter release. Set the camera to AF, press the AF mode button, and rotate the Main Command Dial until AF-C is displayed in the control panel. By default, this will put the camera into “release priority” mode as described in the article. Thank you SO MUCH! This was the best explanation of BBF for Nikon I have seen! I have been trying to do this for months! I have a D7000 and had to change the AF-C priority mode to Release, though. It did NOT do that automatically, and the shutter wouldn’t release (did not do it by default). Can’t wait to really try this out tomorrow! Thanks for the explanation, but do you have any idea how to do this on a Nikon D60? Thank you SO MUCH for this post! Such a clear, concise explanation — you’re a natural teacher! I believe you’d need to customize the AE-L button to serve as the AF-ON button, and make sure your camera is set to continuous servo AF mode. Since I don’t have a D60, I’m not familiar with the specifics, but the manual should have that information. I was pointed to this link from the e-book “Tack Sharp” by James Brandon (he is of the Canon breed). As alot of my shots where not in focus, I thought I would give this a try. I have the D300s and have now set it up as instructed. It looks easy to use and will be out practising very soon. I like taking shots of birds on the garden table, so I am sure this new method will help with both static and moving shots. Thanks for the clear and precise instuctions. Does that mean when I use flash, I have to switch the focus mode in front of the camera back to AF-S? And reset menu “a5” back to Shutter/AF-ON. Please confirm if this true. 1) The AF-assist lamp only works in single-servo AF mode, but you can still use the AF-ON button to focus. These functions are independent of each other. 2) I think this post has more to do with Marat’s preference of using the D-pad to move the active focus point while composing. I don’t believe this is an issue with the technique, just a personal preference. You can still recompose and shoot just like single-servo mode. I think Marat is trying to keep focus on a specific area with a very shallow DOF. One work-around would be to use the 51-point subject tracking AF mode, which will stay on your original subject while you recompose. I’m new with this technique and struggling when I shoot with the camera off of my eye. Examples, holding the camera at your feet to track sea turtle hatchlings… or… above your head at a concert. Those are the situations (especially with one-hand shooting) where I think it’s physically easier to use the Shutter button for AF. For me, at least, it’s just easier to hold the camera. Maybe I need to start working out more. Thanks Jason for the quick reply. I very much appreciate the info as I’ve been wanting to try this out for a long time but never found the right instruction until now. Thanks Jason for your quick reply. Would you please share your settings on a D2X? Any other custom settings from a – f which would be beneficial to this AF-ON function? How do I setup AF-ON on Nikon D200? Please help. Should be very similar to the setup for the D300. Make sure that you disable the shutter release button from activating AF. 5. Front AF- Mode Switch to C /AF-C mode. Can you comment on what the impact of this BBF AF-ON has when using the Nikon mll3 remote? Will the remote let the camera AF without having to adjust settings? I have a D7000. Thanks. I don’t have a D7000 to test. I’d suggest trying it for yourself to see what happens. Yip, this technique really works well – I have been using it on my D700 and Fuji S5Pro for more than a year now – I would hate to work differently now ! thanks for the very cool tutorial! question about metering? so metering is locked during half-press of the shutter button? Not normally. 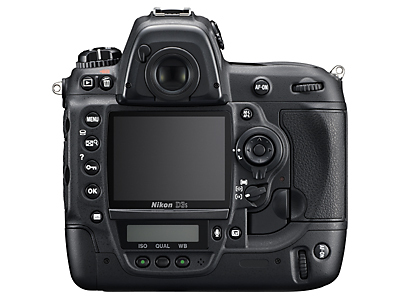 Metering locks with the AE-L button on most Nikons, and it can be customized. Nice Video and I follow same technique, i still have following question for my Nikon D90. Subject is standing and no motion. It’s portrait picture, and want to take with recompose method. How can i Lock exposure, i understood locking focus and other factor? If you have your camera set up that way, then you can’t lock exposure with the AE-L button. Chances are, you won’t really need to lock exposure, but here’s a situation where you could either use Exposure Compensation or Manual Exposure Mode. I like this focusing technique A LOT. Thank you for the explanation! I have a question. With Manual lenses (non-AF) how can I set the AF servo mode to Continuous (AF-C)? When I hold down the button and spin the dial, nothing happens. Not in the viewfinder, not on the LCD display. Is it even possible to set up 3D with a manual lens? Apparently this 85mm lens has been converted, and I’d like to focus points in the viewfinder to light when focused. First off, what kind of camera are you using? With a MF lens, the AF servo mode is absolutely irrelevant. The camera will be in MF (manual focus) mode no matter what is selected… it’s a MF lens, after all. On my D700 and other bodies, the AF points still show up in the viewfinder, even with one of my old manual lenses. I don’t know why I just can’t grasp this fully. I’ve been shooting with the D300 for a long time and still feel like I just don’t own my focus control. I usually try to arrow around the focus point to get what I want in focus with my D300 which is terribly slow and doesn’t work well. I just got a D800. I understand the AE-L/AF-L button to lock my focus and exposure. It seems to work OK if I use the center focus and then re-frame but I worry that if during reframing I move the camera too much, I will lose my focus lock. I also don’t understand if doing this engages VR which I would like. I also read somewhere that this doesn’t work right with the matrix metering and I have to use center metering. And, then, I can’t figure out when I would want to use the AF-On button technique instead. That would only lock my autofocus and let my exposure go by the meter? I use the AF-C mode most of the time since I’m usually shooting my kids doing something — either riding a bike or playing a sport or semi-fidgiting/posing. I feel like there is something I’m missing to get my focus really under control but I just haven’t been able to grasp the way others are using these controls and why. Are there any good articles or books on this? I’ve searched a bunch of forum but haven’t found much other than your article (thank you for it). When using “AE-L/AF-L = AF-ON” on my Nikon D7000 is it necessary to to set AF-C to Single point focus or can it be set to any of the area modes? I would expect to use single point focus for portrait/l’scape and Dynamic for sport etc. I am slightly confused about this as to whether it is necessary to keep switching the area modes while in AF-C.
Ps,,, I have purchased some of your guides and they are excellent. You can set it to any of the area modes, I would think. I use single point for the fastest response. Just wondering if it is intended to produce a DVD to accompany The Photographer’s Guide to Color Efex Pro 4 (PDF eBook) and if so is it best to hold off purchasing until a bundle is offered loke HDR & Silver Effex! I haven’t decided yet. The video production is very time-consuming. Now with that setup, should I turn off the VR on my lenses? No. Use VR when shutter speeds are slow to prevent camera shake. For most Nikon cameras (except the D4) you use a half-press of the shutter release to activate VR. hw do u perform the auto slow sync on nikon d5100? I imagine it’s in the flash settings… you can look it up in the manual. I don’t have a D5100 to try out. When using the AF-on function on both my D5100 and D3000 subsequent shots are prevented by the camera “protecting” the photos just made. can I override this “protection” facility? I’m not sure what you are describing. Are you saying you can’t shoot continuous frames? The 4th step reminds us to press the shutter release half-way to engage VR, but the 3rd step is to keep the shutter release down. Should those steps be reversed i.e. engage VR (if needed) and then press the shutter release all the way down and release when ready to shoot? If you are using VR, then engage it before you shoot. It’s an optional step, depending on your lens. Very interesting indeed and great video and thanks for putting it up there. I can follow and understand about how to set the AF-ON button in the menu o.k. but what I don`t understand is what settings would you then set for the items in the menu under C1 & C2 which on my D200 are (AE Lock and AE-L/AF-L ) respectively. Thanks in advance for any light you may be able to throw on this for me. 3. Focus there is no release separately. What to use? thanks, this techniques is great – i’ve been using it a while now but having trouble in situations where continuous focus is required. it seems like i have to choose between focus and composition. i.e. if i recompose when the af-on button is down the camera focuses on something else. am i doing something wrong? I have a D7000 have been a little lazy getting to grips with focusing techniques. This system works well with my camera and I don’t think it will take long until it’s 2nd nature however there are times where AE lock is useful (recomposing a shot where you want correct exposure for a small part of the shot which is off-centre) but as already said you can always use exposure comp, bracketing or active d-lighting or even re-set the AE-L/AF-L button temporarily. Some users have reported faster focusing with this technique which must be down to the fact VR is not initialised until the shutter release button is depressed 1/2way. I was so excited to see your awesome tutorial, thank you! I am starting to use BBF today and I have a question for you. I have a D7000 and I have everything set up the way you instructed. How is my camera metering for exposure if I am set on spot metering? Meaning, is it reading the exposure when I press the AF-ON button or if I push the shutter release half way down? Also, do you recommend using spot, center or matrix metering for taking pics of my little kids who are constantly moving? Thanks for your help!!! The spot meter is linked to the active AF point. I do not recommend using spot metering with moving subjects. The camera meter activates with a half-press of the shutter release button, not the AF-ON button. I just would like to thank you for this clear tutorial. I had heard of the technique before but was confused about some details. Your explanations helped me a lot to sort it out!! Thanks again! what about the af assist (af light – illumination) to my knowledge it will only light up when set up as single af and no as continues af. can i still use the af-on button in single af mode? what would the benefits be? The benefit of using AF-S mode (single-servo) is as you describe. The AF-assist lamp can be used and focus will “lock” even with the AF-ON button pressed. Great video! Does this technique also work if i want my focus on 2 or more subjects that arent exactly level with each other? Ie. a group photo.. The technique simply activates the focus motor. If your subjects aren’t in the same plane, you’ll have trouble getting accurate focus with any camera. My question regarding using this technique is about metering accuracy. Without using the AF-On button, when half pressing the shutter you activate the focus plus the metering. But if you go with AF-On way, I could be tracking a subject by pressing the AF-On, save some battery life because I’m not activating the VR with the half press of the shutter button but what happens to metering when I fire the shot? Does the instantaneous full press of the shutter gives me accurate metering? Or should I also consider half pressing the shutter WHILE I press the AF-On button to get that accuracy and then take the shot? If that’s the case, the battery savings achieved by using this technique will be no more. The only advantage is the ease of switching between focus modes. I do not own a body with the AF-On feature so I ask you if these are real concerns. Thank you. The meter in Nikon cameras is activated by a half-press of the shutter release, and it usually stays active for 10 seconds. You will save some battery life by not having VR active full-time, but you do need to activate it prior to image capture so that it has a chance to stabilize the shot. Again, the advantage of this technique is that you have full-time switching between “single-servo” and Continuous AF without having to fiddle with any settings on the camera body. Does this back button focus set up the same on the D800? modes ? Some people told me that it would work only on P,A,and S modes only. Many thanks ! Please reply by email. In general, if your camera is set to one of the “Scene Modes,” you have little or no control over individual settings as the camera sets them for you. You can change AF parameters in any of the non-scene modes (P,A,S,M). I noticed above one commenter was asking about how to lock exposure on a Nikon when the camera is set AF-on by custom setting of the ae-l/af-l button. On my D5100 there is another custom setting C1 which sets AE-L on/off for a half press of the shutter button, mine was defaulted to off so I turned it on. On my D40, AF ON on the AE/AF button works if i keep it pushed but if i release it, it loosed Focus. Keeping AE/AF pressed is even tougher than keeping shutter button pressed so if is only for single focus, not worth it. Do the D40 able to do AF On correctly or not? This is the expected behavior of this technique. What you are doing is replacing the “half-press” of the shutter button to AF with the AF-ON (or AE-L) button. When the button is pressed, the camera motor focuses the lens. When the button is released, focusing stops and the focus point is locked. 2) recompose your shot without changing focus (by removing your finger from the button). Could you please help me on how to set up AF-ON on Nikon﻿ D 600 ? I have tried as per the manual and is not working. D 600 does not have a AF activatio where I can select AF – ONLY. I have search the entire web for an answer but failed. Your help would be highly appreciated. Many thanks. I’m trying to set up your autofocus technique in a new D600 and am having trouble finding the proper settings. Can you help. ? Refer to page 244 of your D600 manual. You can use custom setting f4 to change the AE/AF-L button to an AF-ON button. Then make sure that custom setting a1 is set to “release priority” (default). See my reply to Kiran AK, below, Stan. I have a Nikon D800 and have been using with the AF-ON button only technique. If I’m tracking birds in flight with my finger holding down the AF-ON button and I’m set at CL mode continuous shooting speed, do I just keep the AF-ON button depressed as long as I’m initiating multiple shutter activations? If you’re actively tracking a moving subject, then yes, keep the AF-ON button pressed while actuating the shutter. Take your finger off the AF-ON button if you want to lock focus on a stationary subject, or cycle the focus acquisition to a new target. Many thanks for useful tips regarding AF-C, i’d like to know for latest setting for Nikon D4? The D4 works the same way as the D3. The difference is that in the D4 and D800 AF-ON activates VR, too. Can you use this technique for shooting HDR images and if so would you have to keep the AF/ON button depressed until all images in the sequence have finished or not?. Could you walk me through the steps for using this technique when shooting an HDR sequence. When using the AF-On technique… What should I have my focus points set to? 39points, 9points, single point, ect. I have a D7000. Use whatever is appropriate for the subject at hand. I use single-point whenever possible as it is the most responsive. However, if you’re tracking a moving subject and are having a hard time keeping the AF point on it, switch to one of the dynamic modes. Always try to use the fewest AF points as possible. Thank you Jason, excellent description and instructions on camera set-up. I have been trying to figure out how to do precisely what you clearly described. I’m using a simpler camera (D80) and it works great. AF-C priority goes automatically to release, whilst AF-S priority goes to focus. Using AF-S if you focus, recompose and try to shoot while the AF point is not on focus it will not shoot (Error r06 ). This may be used as a ‘focus trap’, for example for shooting moving subjects, however for moving subjects I still prefer the technique you described (AF-C). Great post, but I still don’t know how to set my D7000 as in point #5 (Find the custom setting for AF Activation (a5 on the D3s) and set it to AF-On Only. This step is not necessary for the D90 and other cameras, as it is already set up by custom setting f4. ) I think AF-ON does not exist on it. Can you help me? Finally, I got it. I have D7000 and the only button I could program as AF-ON is the back button (AF-L, AE-L). I wanted to do it with the Fn button, but I didn’t see the option AF-ON. Then I read one of the sites mention on this blog (http://everydayelementsonline.com/2011/11/how-to-back-button-focus/) and found the option. Great technique. I tried a few shots – not complicated and very reliable. I<ll try more tomorrow, outside, but I am sure I'll continue to use it. Thanks!!! Thanks for the tip. Shooting a ballet recital this weekend and I think this will be a big advantage for stage shots. I use single-point AF unless I can’t keep the spot on a moving subject. Always use the minimum # of AF points that you can get away with for your needs. Thank you for the video. I learned a lot! Just one part I couldn’t quite fully grasp if you don’t mind clarifying regarding setting it on Release priority. Won’t you get a lot of out-of-focus shots if you use that setting? Thank you. I set this on my D800 but I hope I am doing this right. If I use it for a portrait shot, I use the AF-ON button set my focus point and release the AF-ON button, how come the green dot doesn’t show when I release to take picture? Am I doing something wrong? I understand for tracking a moving subject I must keep it pressed ( AF-ON) button. I set it up like in the video, is it different for the D800? The default setting allows both shutter and AF-On buttons to activate AF. That means, unless you disable the feature in your custom settings (to use AF-ON only), then every time you half-press the shutter, the camera will try to focus. But when I have it set with the default settings, hit the af-on button & release it, recompose, and push the shutter halfway before taking the shot, it refocuses. This is if I have the setting at Shutter/AF-ON. What am I doing wrong? This is on a D800. Thanks. Hope I’m making sense. Can you do this with a 3100? Terrific technique which I have now mastered with my d7000. Thanks. Please clarify if this system works when I use a remote release with my camera on a tripod. The remote release won’t trigger AF in this situation. I’m pretty sure you can, but you’ll need to check your manual about customizing the function of the AE-L button to be used as AF-ON. Brilliant video, you’ve improved my understanding of how auto-focus works. I haven’t got to try it yet but have a football game tomorrow to shoot so will then. Soon come! I have one question. I know i should use a single AF point to track a player. Butf he runs sideways & i don’t keep up can the AF be set to automatically track him? Can I use BBF with a 105 VR lens? I am really shaky and the VR has made a huge improvement in the sharpness of my photos especially the close ups. I shoot with a Nikon D200 and at iso 1600 to increase depth of field. There is a slight increase in noise at this setting, but not a problem for my work and my editor will take care of it if necessary. Really appreciate any help on this subject. You can use it with ANY lens. With the D200, you’ll need to half-press the shutter release to activate the VR system. Oh, my goodness. I’ve come across this function/process for the first time twice this week. Found your video this morning featured on a blog that had a 3-step instruction on how to configure camera settings. Gave it a whirl in about 3 minutes, and, like I’ve read that others do, I’m never going back. I set it up on a D90, so the video demo regarding buttons and specific setting locations wasn’t overly helpful but the rest of the video was very explanatory. Thanks so much. Well-made video with great instructions regarding setup and purpose, etc.! I missed some shots frustrated by this, while having to tap/release the shutter button or turn the camera off every time after a shot to reset the autofocus and exposure and to be able to shoot again. How do you have your AE/AF-L button set? If it’s set as AF-ON, then it should disable the AE-Lock feature. I shoot mostly sports with a Nikon D3. This technique is perfect for sports shooters. However, I am going to do some landscapes using a tripod and remote release. Will the remote release work the same as using the shutter release button or will it try to refocus. The remote will not activate AF if you are in AF-On only mode. I find this incredibly useful for my landscapes where I like to focus on one spot, meter off another, and take the shot with my release cable. Jason. Excellent procedure in setting the AF-ON button for the D3S. I have a D300s & D7100 and have set their buttons up given your sample direction. Suggest you provide a video for the D7100 & D800 series for fans moving up to these models….?. One needs more techniques for great focusing and shooting. Jason – great video explaining how to take advantage of the AF-ON. I was never sure if the focus can/will be locked after pressing the AE/AF-L button(I have D5100 thaT i programmed this button to AF-ON) and recomposing the frame.. After watching your video, I realized the key is knowing when to release your thumb from the button, before recomposing…IT WORKS! One question I have around focusing: I recently bought AF-S DX 35mm/f1.8 lens(great value lens) and I can take nice shots of one person in the frame, with great blur in the background. But when trying to take picture of 2 people in a frame, and still trying to get blurred background, I find running into focus issues. Most of the times, one of the persons is unintentionally blurred. Appreciate any insights on how to get both of them in focus BUT still able to get the blur background? Jason. Thks for sharing you tips. I tried it on my Nikon D7000. and on continuous mode the Speed is a bit slower. Is this normal? Thanks. That’s not a defect, that’s the issue with shallow depth of field. Try stopping down to f/4 to get the people in-focus while still blurring the background. Make sure both people are in the same plane of focus. I can’t imagine why the focus speed would be any slower this way. I am so glad I found your video! I have been hearing about BBF and didn’t have a clue about how to use it. I have a D300 and D200 and am eager to try this out. I am confused about its use when using a tripod with or without VR. So how should I set up when using a tripod and cable release? I’ll be going to Yellowstone and want to get my shots in focus on or off my tripod. Thanks. You are a big help to Nikon and NIK users. Thanks. I own a D90. Do you know why I cant use this technique with AF-S? After recompose the camera wont let me shoot….Sorry in case I missed the answer in the thread. you need to use AF-C for this to work, using “release priority mode.” That’s why your camera won’t shoot; it’s in “focus priority” mode with AF-S. Thank you so much for your help. I am a newbie here with a Nikon D7100. I have 2 questions that I hope don’t sound too absurd. The first is what settings can we use this in such as manual? Aperture Priority? Shutter Priority? and auto? I’m assuming just auto. The second is when you say to look through the camera and find your active focus point. How would I tell where that is? I have it set up on my AEL Lock button since it’s the D7100 and I don’t have an AF on. When I look through the camera what is the next step, do I then press the AE Lock (AF) button to locate my active focus point? Can’t seem to find where my active focus point is at. Also, when I set it up in the menu at one point it has an option for AF on but in the video I believe it said the AF on Only button. Is it actually supposed to say “only” as there is an option that says AF Lock Only . Well I guess that was 3 questions. Thanks from an embarassed newbie. The technique I describe works in any Exposure Mode (Aperture, Shutter, Program), but you need to set Autofocus to use something other than “Auto Area.” Try single point AF mode. The active focus point should be visible when you half-press the shutter release. Thanks for the illustration of the technique. With this you need to set Metering to Matrix Mode, right? I usually use Spot Metering therefore create a wrong exposed photos when locking focus with AF-On and recompose. You can use any metering mode, but you are correct that with spot-metering, the active AF point is also the spot metering point. I will have to check, but I’m pretty sure that is correct. I had tried this technique for 6 months now and very satisfy. Then I realize, it won’t trigger AF-assist beam from my SB-900 while I’m shooting outdoor at night while there aren’t much light on the subject or in a darker room where the camera won’t focused. Do you had any suggestion or advice in these kind of situation? How I did last time is by switch the AF to AF-S.
Salim- If you need to use AF assist lamps, then AF-S (single-servo mode) is your only recourse. Jason, have used your idea for some time on my D700 but just noticed on my D800 that if I track and then release the AF button and recompose, the View Focus point on the recorded image shows at the recomposed point of the image ie when shutter fires) and not at the point in the scene where the button was released although focus is at the button release point.. I believe the camera will show the active focus point, not the part of the scene that was focused on. I have a Nikon D4 and my longest lens is the Nikon 70-200mm 2.8 VR II. I want to use your suggestions as I like to shoot that way,using the AF/ON back button to focus and the shutter button only to take the photo. Example: portrait of my wife. 1) I select the camera to focus in “one eye” by pressing the AF/ON back button. ( either on Single or Continuous mode. BUT when I check on camera to see the area where my focus point was set (the eye) in fact it shows that the camera focused elsewhere as I recomposed. So in fact the camera did not locked on the eye. Like I said the green focus light never shows. When focus is locked, the software shows the location of the active focus point, not the point where it was focused on. This is normal. I have been using BBF for sometime now. I do mostly birds and wildlife. I am using D7100 . My question is – what should be the setting for Area Mode? Should it be Single point or one the d9, d21 or d51? Single-point will always be the fastest, but for situations where it’s hard to keep the active point on the subject (like a bird), try 9-point. Extremely useful, particularly the points on the software not recognising where you originally focussed with recomposition as this can really confuse you. You have some perfectly valid points here. There will always be times when the traditional focus operation is desirable, such as if you are shooting one-handed over a crowd, or in the circumstance you describe. I’ve setup BBF, but my D500 takes a shot whether it is in focus or not. Can’t figure out what setting will fix that. Thomas- you have to change Menu A8 under AF On Only to “Disable” out of focus release. I followed your settings on my d7100, and am able to successfully press bbf, release and recompose and then click the shutter for an in focus shot. But am having trouble holding in the bbf and then tracking a moving object, seeing the center square or any square for that matter light up red and then clicking the shutter. When using BBF, focus tracking (activation) occurs when you hold down the back button. The AF points do not remain lit while focus operation occurs. They briefly illuminate in the viewfinder to allow you to know which one is active. Hi Jason, really helpful video. When shooting in single servo should the bb remain depressed when recomposing and depressed when pressing the shutter? If you use single-servo, you’ll need to keep the back button pressed to allow the focus to stay locked and the camera to fire, assuming that you’re set to focus-priority release mode. Why, when describing the technique, under “To focus continuously on a moving subject”, at point 3, do you write “while simultaneously pressing the shutter release”? But anyway, surely with the technique set up, just keeping the AF-On button continuously pressed will track focus? Simultaneously half pressing the shutter release will not change anything? To track focus, hold down AF-On. Half-pressing the shutter release activates the meter but won’t do anything else in this mode. In newer cameras (D4/D800 & later), the AF-On button activates VR as well. Thanks Jason, Your video wa svery useful, it is the only one I found that gives the tip of changing AF-C to release only. Also battery life saving tip too, awesome! !